Discussing the platforms that bots live and work in. Definition: Bot platforms are online ecosystems where bots can be deployed (i.e. where they live), and interact with users, and perform actions on their behalf (i.e. the work they do), including interacting with other platforms. This definition is important to state up front, as the term “bot platform” is sometimes used interchangeably with “bot development framework”. Development frameworks (e.g. Microsoft Bot Framework, Howdy’s Botkit, Dexter, etc) are where bots are built, and where their behavior is defined. Of course, the platforms and frameworks are related, but the distinction is important. What does the bot platform market look like? Who are the dominant platform players going to be? What does product-market fit look like? It looks like major platform players (Google, Facebook, Amazon) will continue to play a dominant role in the bot ecosystem, just as they did in the previous App and Web ecosystems. We know that the UI layer is minimal in chat applications, and that the hope of most bot builders is to leverage enormous server-side computing power to do all the heavy lifting around understanding queries, moving through large decision spaces, and generating responses that will likely involve interacting with other platforms. Therefore, we would tend to think that the opportunity for developers is much larger (server-side) than in mobile apps (client-side). These points seem like reasonable assumptions so far. I.e., Google and Facebook are the front door to the internet for billions of people, so it seems reasonable to think that the messaging platforms they create will have a head start in establishing dominance as bot platforms. Also, because bots are server-side, the ability to build deep integrations with machine learning services seems like it will be central to building bots that achieve real product / market fit and stickiness. This makes bots a much larger space for developers than pushing out client-side software applications like mobile apps. So, in this context, many of the discussions about bots focus on the fit between bots and messenger apps. In this storyline, bots will be the natural means of conducting transactions and doing stuff, allowing people to conduct all kinds of interactions without leaving the messaging app. Lots of layers! Most of the major bot platform players participate at multiple levels – e.g. 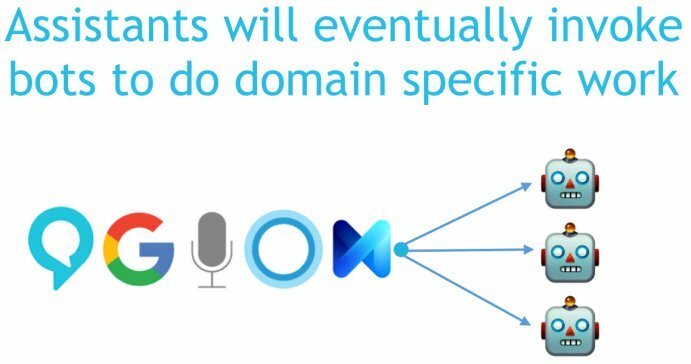 Microsoft has Cortana as a general-purpose intelligent agent, provides a platform to deploy bots on in Skype, offers AI as a service through LUIS, and also provides a framework for building bots. 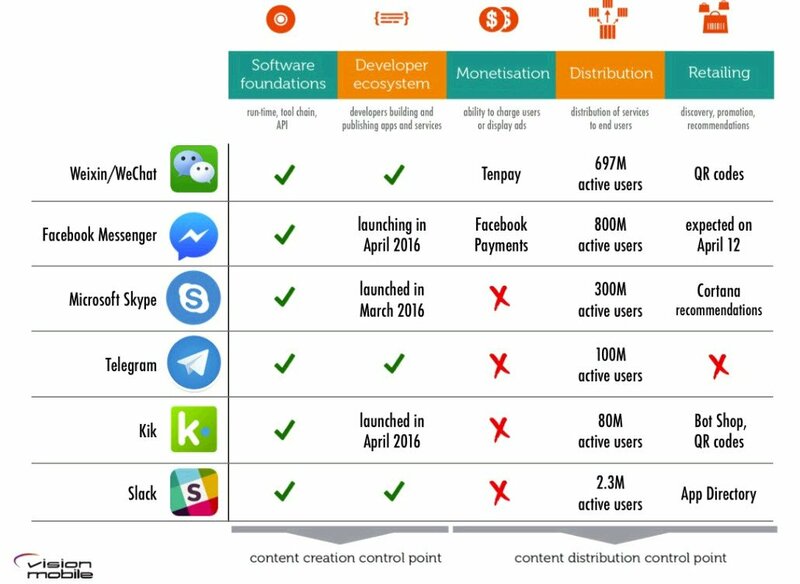 The area highlighted in red is where we’re most interested – the individual platform players like Facebook Messenger, WeChat, Allo, Slack and others. Going through the pros and cons of each platform wouldn’t be super-productive, because anything written about these companies will become outdated as soon as it’s published. So instead, we’re going to focus on the qualities that make platforms successful. The marketplace is incredibly frothy and disorganized, and that’s likely to increase for the foreseeable future. Most bots we’re seeing are searching for users and validation that the idea they represent is something that users want. 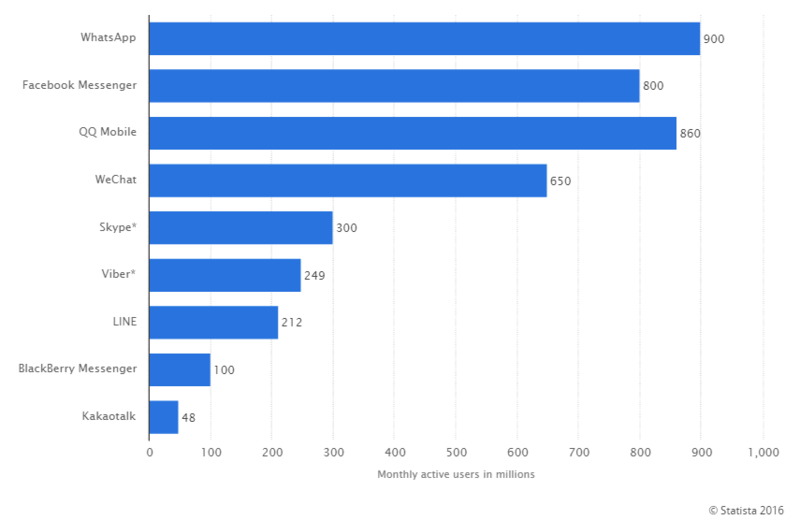 This view of platforms is fascinating because one thing becomes readily apparent – Facebook is the only platform in the U.S. that has a payments mechanism! This may not be super-important in 2016. However, here will be a Great Filter that occurs at some point in the future for any bots that want to become stand-alone businesses. And that filter will be achieving product-market fit. There is an open question around product-market fit in the United States. Media talkers tend to focus on the amazing things that bots can do, but no one has (yet) built a bot-only application that millions of users interact with, and defines a sustainable stand-alone business. 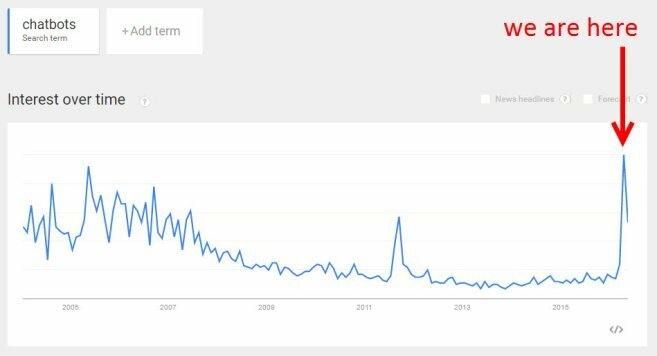 Many of the early bot deployments we’ve seen are extensions of existing businesses. Staples has a bot that will answer customer service questions, and CNN has a bot that sends you news links. These are very narrow-domain tasks that are not hugely valuable to end users – more like checking a box on an omni-channel channel strategy than an actual strategic deployment of the technology to impact the parent business in a fundamental way. Internationally, there are more indicators of product-market fit. Messaging platforms like WeChat have massive user bases (1.1 billion) and already have stand-alone applications with large user bases. Xiaoice is a text-based chatbot developed by Microsoft, which chats with people about their day-to-day lives, and how they feel. Think of the movie Her, except with a text-based interface, and it’s used by millions of people. Jobot allows provides a chat-based interface for employers to learn more about candidates from a cultural fit perspective, and even answer practice interview questions. The love story between bots and messaging apps is one way things could play out. In this scenario, bots abound as more messaging platforms allow development. But which platforms should a bot developer start developing on? One? Many? Second, the platform business-dynamics around bots is yet to be determined. The specific rules that get set for bots will matter a great deal in defining whether they become a vibrant ecosystem or a failed backwater. There are two possible extremes to this. On one hand, companies like Slack and Facebook could decide to play kingmaker in various verticals, just as their Asian messaging counterparts have done. Doing this could drive more profit directly to the platforms and might actually provide better, more deeply-integrated services. But it would also kneecap a lot of innovation. The other extreme would be a bot-free-for-all, which would lead to a lot of innovation, but also probably a lot of user issues around quality of service and privacy. The likely outcome is almost certainly somewhere in the middle. The platform companies have too much history and experience to make the mistakes of either extreme. But the reliance of developers on single platforms and the ability of those platforms to change the rules and distribution characteristics for apps will leave developers on edge for the foreseeable future. 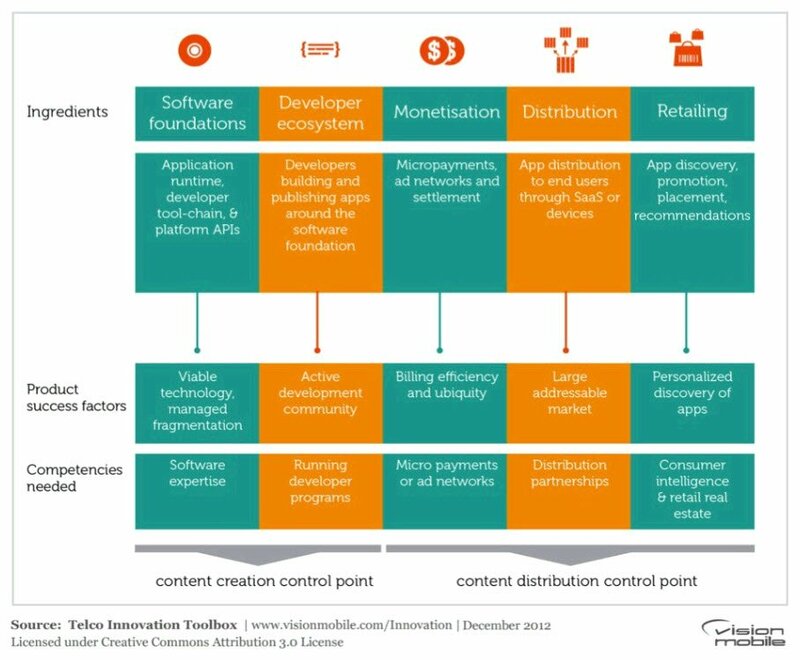 So perhaps this middle road sees bot developers looking at the platforms as distribution channels. I.e., you build a bot for Facebook just like you build a publishing strategy for Facebook. But you also build that same bot for Telegram, Kik, etc. I think this point is especially interesting, because it drives home the differences between the users who naturally gravitate to each platform. Cultural differences that emerge at the platform level are real – there won’t be a “WeChat of the West”, because the specific cultural forces that shaped WeChat into what it is won’t be replicated by a Western bot platform. Always build for the specific needs of your specific audience, in a specific platform. So we’ve seen an overview of the ecosystem that bots live in, with a particular focus on the platforms that bots can live and work in. 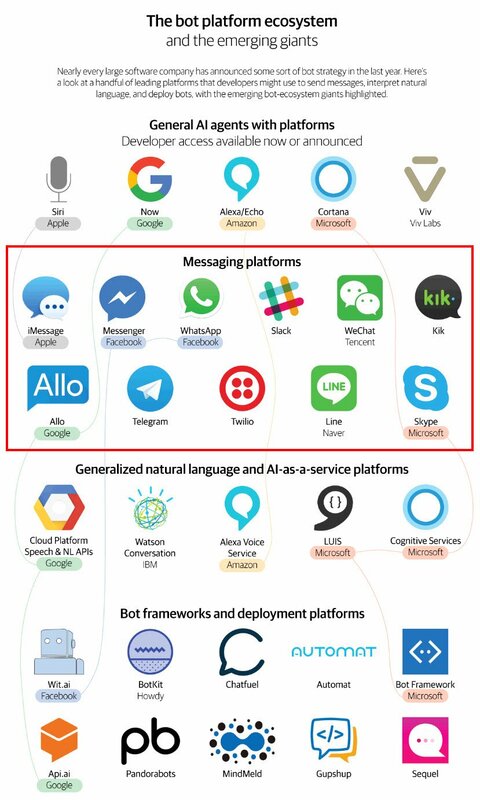 One of the easy conclusions to jump to is that the bot ecosystem is dominated by traditional technology giants, some of which are approaching vertical integration (e.g. Microsoft). And this has lead many individual bot developers to throw up their hands and say some version of “what’s the use?” The big players already have a big lead, how can I hope to compete? I think this is an easy conclusion to jump to, but it’s ultimately a bit misleading. I attended the O’Reilly Bot Day conference in October 2016, and I came away with a view of the ecosystem that’s a lot more nuanced. Sure, it would be hard to compete with monsters of AI like Google in creating a general-AI intelligent agent like Google Assistant. But you don’t have to compete with Google Assistant! Creating a general-AI agent is enormously complicated, especially in fundamental tasks like natural language understanding (NLU). Google will need all their machine learning PhD’s working around the clock just to understand and respond appropriately to all the general requests they receive. This was one of the most optimistic realizations that I came away from Bot Day with. The bot ecosystem is HUGE, and there is tremendous opportunity for bot builders, even down to single developers, to build the exact experience that solves a very specific problem. As long as you’re solving a specific job-to-be done, and are doing so in a way that introduces less friction than competing experiences, your bot can find a nice home in the very complex bot ecosystem.